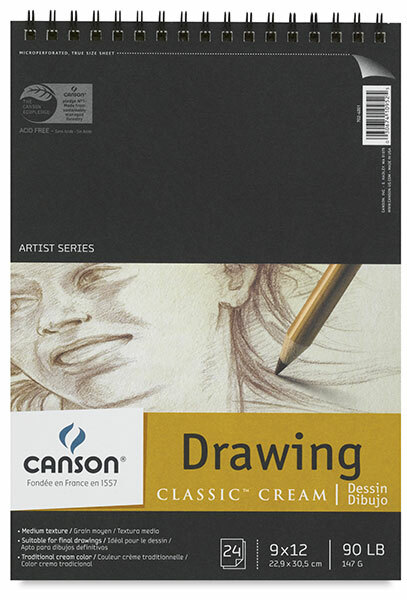 This heavy 90 lb acid-free premium drawing paper has a creamy color and a medium tooth. It is well suited for charcoal, pastel, pencil, or pen. Double wire bound on the short side with micro-perforated sheets. Extra-heavy backing for rigid support.